B.Y.O.P. Bring Your Own Phone. How to Take Advantage of the Mobile Carrier Price War. I’m going to keep this short because I can’t stand mobile phone plans. Mobile carriers have always thrived on complexity. The arrival of smartphones and data plans over the years has only added to the bizarre mobile pricing schemes already out there. Smartphones have become money machines for the carriers, racking up all kinds of data charges, upgrade fees, smartphone accessory sales. It’s time for things to change. 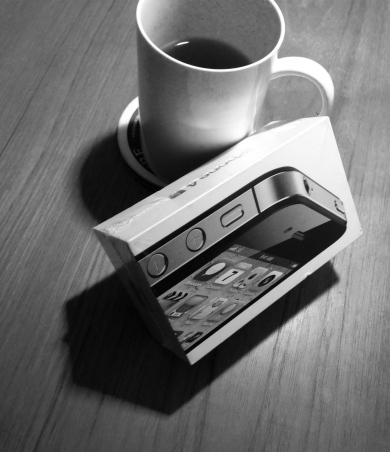 I’ll be the first to say that the smartphone a useful appliance. See 21 Things my iPhone replaced. But if you’re not careful your mobile phone bills will be higher than your utilities. If you’re single, they probably already are. About a year ago, things did start to change. T-Mobile touched off a price war with some aggressively priced data plans. Especially for families of four which seem to be the holy grail for carriers. T-Mobile is trying to grow market share with some heavily discounted plans and even offered to buy out your old contracts. To our benefit this infuriated competitors in bringing us to some of the better values out there today. One thing all of these plans have in common is that they do not include the Phone! You’ll quickly learn that if you want one of these plans set up with new phones as part of a two-year package, that’ll add on $25 per phone per month over a two-year period or about $600 per phone. Not including any amount you pay upfront. Anywhere from $99 to $399 if you want the latest and greatest. Some carriers also like to add activation fees as well. Finally, beware of short-term promotions and skip any pricing plan that’s not available for at least a year plus. Just like the cable companies “for a limited time” means they will be jacking up these prices soon enough to get their money back. There’s only one way to really get the most out of these plans. It’s called bring your own phone. Let’s say you have a family plan with four phones and 2 of those phones qualify for upgrades. Those phones now belong to you and you can ask the carrier for their lowest rate. If they don’t give it to you, you can move all phones to any of the other major carriers and they’ll be glad to accommodate you. You may be able to move early, see the T-Mobile offer. Get comfortable with a great phone thats a few years old. The best way to make sure this happens for the whole family is to be comfortable owning a phone that’s a couple versions behind. For example we own 3 iPhone 4S. This is a highly capable 4G phone and, even though the iPhone six is coming out this week, will get at least another year out of these. Maybe at that time I’ll look at upgrading a few to the iPhone 5, while spendy retail consumers are waiting in line for the iPhone 7. Wahhh….But I need a new phone! Let’s say you want a new smart phone. You can still buy a new iPhone 4S via Amazon or E-bay for about $300. Prices drop with each new iPhone intro. When you add up the savings versus getting it through a carrier, it will pay for itself in less than a year. You won’t be tied to any contracts and if you can get two years out of it you are golden. If you have kids, you can migrate the older phones to them so they can take advantage of the lower rates. They definitely do not need the latest device. If you decide to switch carriers, it will be less of a hassle. Not all phones work with all carriers so when you purchase one make sure it’s unlocked or fits with the carrier that you plan to go with. As another alternative, you can also purchase used and refurbished phones on Amazon, E-bay, or Glyde.com. Beware of buying used phones from individuals. If you do purchase a used phone, make sure the condition is listed as excellent and it’s listed as compatible with your carrier. As soon as you get the phone, you need to take it into your carrier’s store to make sure the phone is in working order and can be activated. Glyde.com has a decent return policy but you only have 48 hours to confirm if the phone is in working order and has not been reported as stolen. Also, always take a receipt with you showing that you purchased the phone. I recommend purchasing a refurbished phone from a reputable reseller on Amazon to avoid some of these issues. If you have an old broken iphone, Apple will switch that out for a new replacement for between $149 and $299, which is a decent value. I like iPhones as they work with most carriers and Apple retail has been pretty helpful with our busted devices in the past. And one more thing. Get rid of that landline. If you have a mobile phone and a free Gmail account you can get a unique Google voice number that forwards messages nicely transcribed in your email. It was the best thing we ever did. No more telemarketer or robo calls during dinner. The people who really need to get ahold of you should have your mobile phone number. If you’re single, I recommend you not only skip the landline but also skip the major mobile carriers completely. Checkout Republic Wireless. They offer a high tech hybrid phone that uses a combination of Wi-Fi and 3G data to keep your bill around $25 a month for unlimited data talk and text. Enjoy.